Usually used to create project plans, a Gantt chart can be used in any industry and is an effective way to plan goals for a startup. The Gantt chart was originally developed as a visual work flowchart called a ‘Harmonogram’ by Karol Adamiecki, a Polish engineer. In 1919, management consultant, Henry Gantt, further developed this concept and used it to help his colleagues who were manufacturing supervisors. This allowed them to see if the work was being completed on time or if they were running behind schedule. This chart is now used by companies around the world to try and improve efficiency and manage projects. A Gantt chart helps to see if the project your team is working on, the one with multiple tasks involved, is going as planned or not. A Gantt chart will help figure out how long each task will take and pre-empt any potential problems that your team might face. All of this leads to a realistic timeline and helps complete every project as efficiently as possible. Read on to see how a Gantt chart works and how it can benefit a startup. Why Use a Gantt Chart? Reasons to use Gantt charts are plenty. A startup needs to use Gantt charts to stay on track and understand where every project’s strengths and weaknesses lie. When a business is starting out, there are a million things to think about and do. Being able to keep track of several different things at once with great efficiency is important for any startup to succeed. We are, however, only humans and this can prove to be an overwhelming task. Missing even one task can have a domino effect and the ramifications can be disastrous for a company that is still in the process of establishing itself. Every startup goes through a constant learning process, where it tries to better itself through a series of trials and errors. When planning any action at a startup, a Gantt chart will be a great means of planning projects. Because it’s a visual tool, employees at a startup will easily be able to visualize different ideas because you can write them down in one place. This also gives a view of the bigger picture, which is perfect for a startup because the direction that needs to be taken is not always clear initially. A Gantt chart will allow you to bring together all your ideas in one place and also create a timeline and set targets by which individual tasks must be completed. This is a great way to see how long a project will take and for a startup, being able to finish work on time is essential. Here are Gantt chart templates you can use for a quick start with your project planning. It is easy for a startup to fall into the trap of trying to please everyone. You want to create a great working environment where employees are not too stressed and overworked, while also delivering every project to the client on time. However, not managing tasks appropriately and taking on more than is possible is a recipe for disaster. A Gantt chart helps create manageable tasks by breaking down larger projects into simpler tasks, which can be completed in a shorter amount of time. Dividing up larger projects into a set of smaller activities helps to delegate and share responsibilities, while making the overall task manageable. A Gantt chart allows you to schedule tasks for a specific time and if you adjust one task in a series of tasks, the timing of the entire project will be affected. This will help you see clearly when the entire project will be finished, allowing you to plan the overall project with greater precision. This process is done by making clear which task is dependent on another task. This way, members of a team will know exactly who is depending on them to finish their task on time. This is one of the most effective uses of a Gantt chart. A Gantt chart also helps to see the overall time a project will take, a process that is also known as the ‘Critical Path.’ This is a term used in project management and refers to the process of determining the sequence of activities which will lead to the longest time to complete any given project. This method is used to determine the shortest time in which a project can be completed. 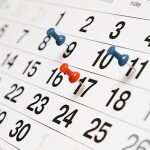 A Gantt chart lets you track the progress of any project in real time. This is done by zooming in, so to speak, into individual tasks which, when combined, make up the bigger parts of the project. By observing individual charts, a startup can see clearly how the overall project is progressing, and how the current progress rate compares to the initial desired progress date. The Gantt chart is a constantly changing document, one that is dependent on others finishing their tasks on time. A startup needs to be able to visualize tasks and see how different people are making progress in projects. This can also help bring to light problem areas and issues which need to be addressed early on in any startup’s life, before it becomes a larger issue and affects the future of a company. This is where a Gantt chart shows its advantages as opposed to a chart that you may have drawn on a piece of paper and left in a drawer. Unlike a Gantt chart, this is not a dynamic document and doesn’t let you stay updated with every step taken throughout a project’s lifespan. With a Gantt chart software, you can conveniently track and record your project’s progress. 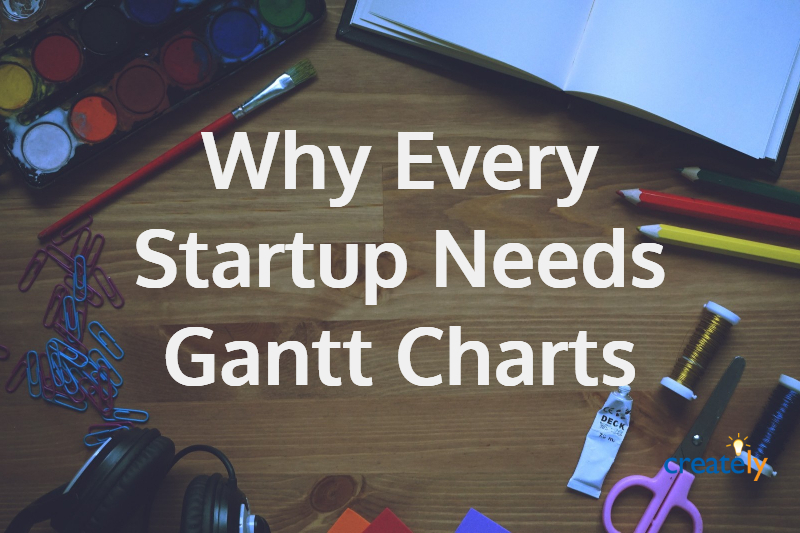 A startup can greatly benefit from the use of a Gantt chart. Although established businesses regularly use this project management tool to keep track of multiple projects, a startup will benefit from this tool due to its ability to track progress and understand where potential problems in a project may lie. With the correct use of this powerful tool, a startup can be as impressive as it had planned to be. I’m Rachel Oliver, I have been working for the past couple of years as a freelance writer. While I like to write about all things under the sun, including energy, business, sports, home improvement and fashion, I am especially passionate about business, technology and electronics. Currently, I am pursuing this passion by working with Digsemi – trusted partner in electronic components. You can get in touch with me on Google+, and Twitter. These are awesome guest posts contributed by our users and technology enthusiasts. Do you have something interesting to share? Want to get exposed to a massive tech audience? Check out our Guest Posting Guidelines to how to proceed. I was not aware of the Gantt chart before. I can see how beneficial it would be in project management to be able to track the progress in multiple tasks at one time. I’m going to have to see how we can use a Gantt chart.